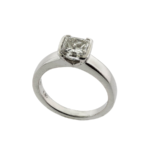 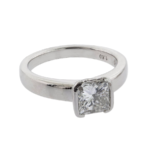 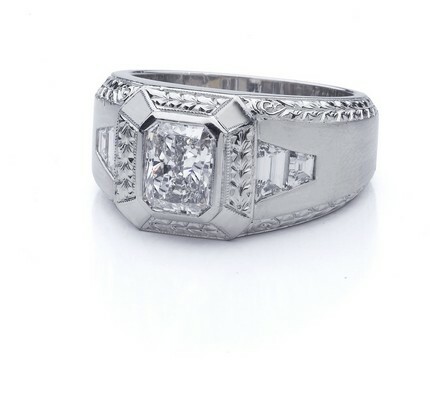 A 1.60 carat half bezel set princess cut diamond engagement ring in platinum. 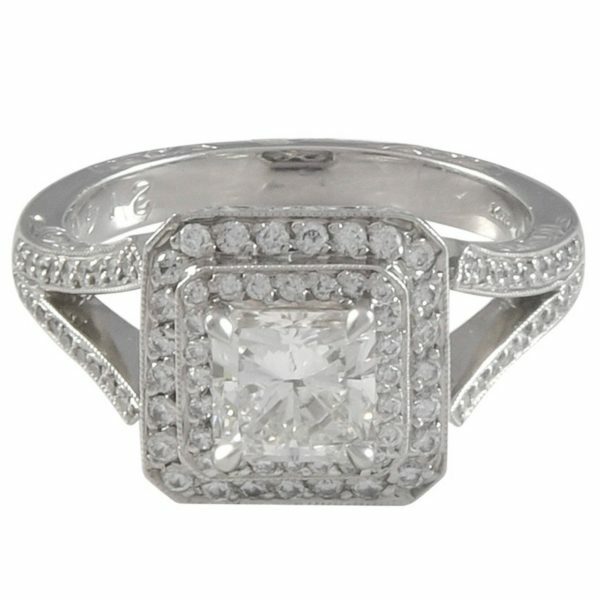 The diamond is graded by GIA as H color, VS2 Clarity, and has an amazing amount of brilliance. 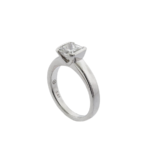 The half bezel head sits atop a tapered shoulder shank.